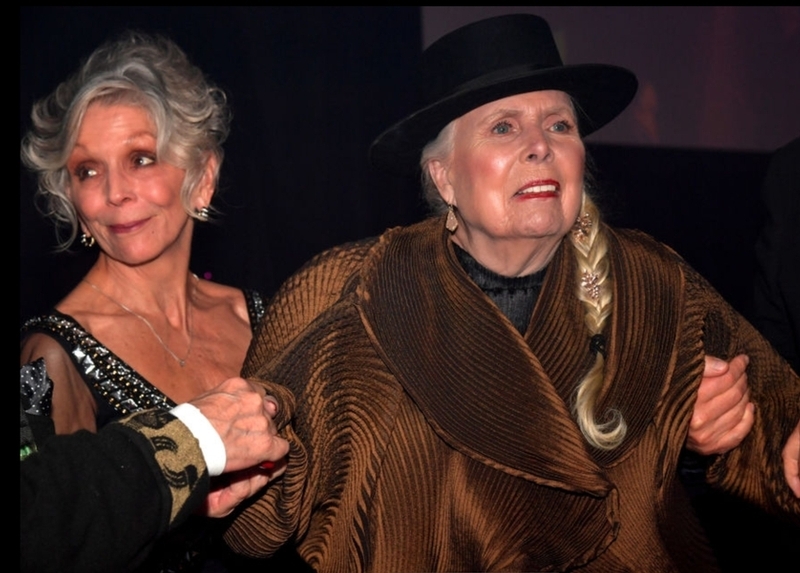 Joni Mitchell made a rare public appearance on Saturday night at Clive Davis' annual pre-Grammys gala at the Beverly Hilton Hotel. 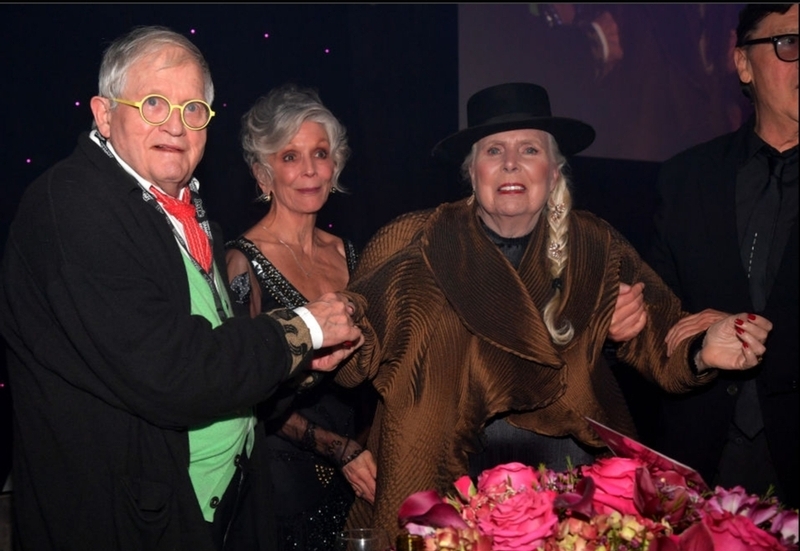 The 75-year-old singer, who has been a regular at the star-studded party throughout its 43 years, received a standing ovation during the event after Davis introduced her. "I'm so touched that she comes to share the night with all of us," he said. 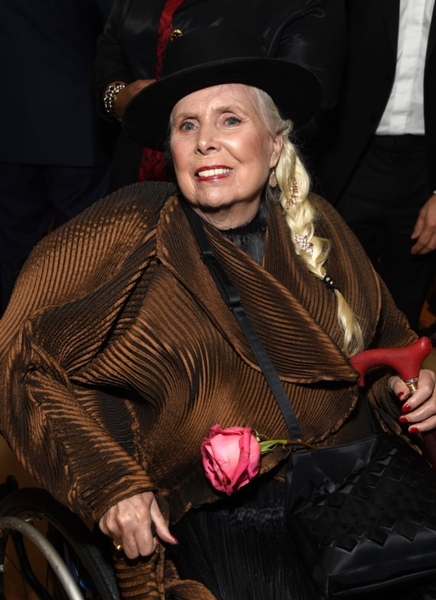 "Please welcome the inimitable Joni Mitchell." The wheelchair-bound singer flashed a smile as she got help to briefly stand up and face the crowd. This article has been viewed 658 times since being added on February 10, 2019.